I love the Cartoon Museum in Little Russell Street. I rarely go to the British Museum without popping in: it’s just round the corner. Earlier this year they held exhibitions celebrating 30 years of VIZ and the art of Ronald Searle. I went to three of the associated talks, every one a treat. Currently they have an exhibition on Kenneth Bird, ‘Fougasse’ (1887-1965). A Londoner, Bird was badly wounded in World War I, and while convalescing he submitted his first cartoon to Punch. He subsequently became a regular and went on to be one of our most celebrated propaganda and public information poster designers, particularly during World War II. He was also the only cartoonist to become editor of Punch. I don’t need to tell you more, because it’s all here. The museum is also hosting two talks, on the evenings of 13 October and 10 November. Book early because the space is tiny, about 40 seats I reckon. 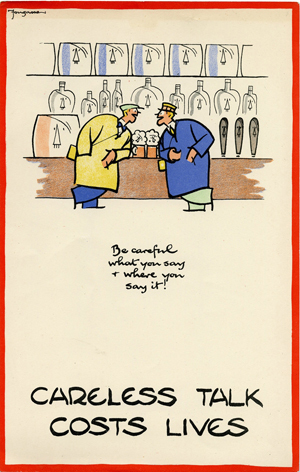 Update: The Cartoon Museum have kindly allowed us to use this image. I like his clean style and distinctive lettering. This map shows that the London Congestion charge is old hat. In 1857 we can see that there were almost 80 toll gates on trunk roads within six miles of Charing Cross. But by this time, toll gates were very much on the way out, thanks to the advent of railways. Financially, they had become unsustainable. The great age of toll gates and turnpikes was the 18th Century. In the latter part of the previous century, turnpikes were established and run by trusts. They could only be set up through Acts of Parliament, the first of which was passed in 1663. The idea was that the trusts would take over responsibility from parishes to maintain major trunk roads. They would collect the tolls, manage the finances and fulfil their obligation to use those funds to maintain the roads. Interestingly, these trusts morgaged future takings in order to fund present projects, in many cases running up huge and unsustainable debts, a distant echo of many of today’s institutions. Typically a coach and four might be charged 1/6 down to 1d for an unladen horse. Take another look at our map and you can see that this could make travel by road rather expensive and no worthy competition for the early railways of the mid 19th century and onwards. Wikipedia has good introductory coverage here. While desperately searching for items to populate On This Day on our main website, I came across a story which really deserves the TV blockbuster treatment. It has murder, detective work, courtroom drama, a twist and – not entirely inevitably – an execution. It involves the violent murder by his servant’s hand of the Whig politician Lord William Russell on 5 May 1840. It took place at the peer’s London residence. Members of Russell’s personal staff – Francois Courvoisier (valet) and Sarah Mercer (housemaid) – discovered what appeared to be a burglary and their master’s body the following morning. But the authorities smelled a rat, suspecting an inside job. Courvoisier in particular was in the frame although during his trial he continued to profess his innocence and point the finger at Mercer. While the evidence was relatively scant, he stood a chance. But when new evidence came to light, he privately confessed to the crime to his barrister while continuing to protest innocence in open court. To no avail. 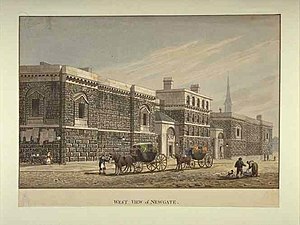 Courvoisier was eventually found guilty and hanged outside Newgate Prison on 6 July 1840. So what was the motive? It turns out that during his private confession, Courvoisier revealed that Russell had sacked him for theft and his solution to the predicament was this rather ham-fisted staged burglary and murder. I must share with you an article by Patrick Baty, who is an “architectural paint researcher” and runs a business in Chelsea which does much consultancy work in buildings conservation projects. Dr Johnson’s House is a good example. Reading his blog you can clearly see that what Patrick does is very much a bona fide branch of archaeology. This post in particular shows a detailed analysis of a 5mm thick sample comprising 71 layers of paint! You may have noticed russlondon and ejbrand in the sidebar under Authors. They are Russ Willey and Emily Brand respectively, and I’m delighted that they will be pitching in with occasional posts to add variety, expertise, insight and talent to this here parish. Russ Willey: Russ is the author of quite possibly my favourite London reference book: Chambers London Gazetteer. He has also penned Brewer’s Dictionary of London Phrase & Fable, which comes out in its paperback edition at the end of October. Russ runs the web site Hidden London and still finds time to do lots of photography and digital artwork. If you use Firefox, check his beautiful Firefox personas here. There are even a couple for London Historians. Emily Brand is a renowned historical blogger and expert in satirical historical artwork, especially from the Georgian period. Her popular blog is called The Artist’s Progress and should be visited frequently. Emily worked for several years at the Museum of London and is now involved in historical publishing. I very much look forward to attending the launch tomorrow evening of Engines of War, a new book by Christian Wolmar. 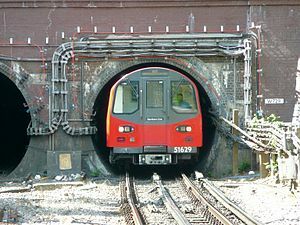 This book is not specifically London-centric, but I mention it because Christian is also the author of Subterranean Railway, the definitive history of London Underground; he is a leading expert in the story of London’s public transport. Great news for London Historians is that Christian has agreed to write a piece for us in the near future. This is a charity event on behalf of Railway Children and costs £15 , £5 of which is your discount if you purchase a signed copy of the book. It takes place near St Pancras Station at 18:30. For more information and booking, go here. Update: I have just spoken to the organisers who say it is also okay simply to pitch up and pay at the door. *Update II: Christian has been in touch to say that in the book he debunks Taylor. Looking forward to that. Last Sunday, while doing a tour or Wren City churches, I was struck by the number of public clocks there were, some rather beautiful, others simply functional. Many churches have a clock integrated with the tower and others which do not, often have one attached to the side. While I was thinking about clocks, coincidentally there was a letter in last Thursday’s Telegraph complaining about how few of our city’s clocks actually display the correct time. Certainly, this picture I took of a clock in Threadneedle Street was about one and a half hours slow, although I didn’t tarry to establish whether it was running at all. 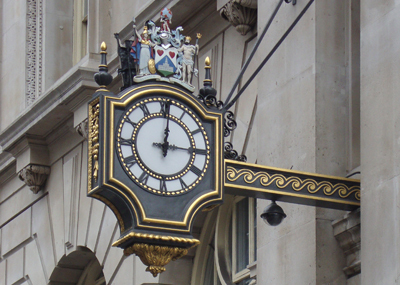 Whom to contact to find out more about London’s public clocks? The British Horological Institute suggested Chris McKay, who has just published a book on Big Ben. Chris has a very useful web site here, and has agreed to write us something about the history of London’s public clocks in the near future. Update: A reader, via Twitter, has brought our attention to a web site for logging stopped clocks, here. Technical Note: If you are reading this article on its own page, you will see something below called Possibly Related Articles, which perhaps should read Almost Certainly Totally Unrelated Articles. I think this is generated by a plug-in I am using called Zemanta, which is quite handy in some respects, but a pain in this one. I shall try and vape these, please bear with me! Update: Apologies to Zemanta, it was a WordPress thing, now disabled.